Earlier check-in and late check-out can be requested subject to availability. Official proof of identity (passport or identity) is required during check-in. All prices listed in our website are per room, per night and include: breakfast, local wine upon arrival, fruit basket upon arrival and free Wi-Fi. Prices may vary depending on the number of guests and season. All prices listed in our website are expressed in (€) and are VAT and all other legal taxes inclusive. For standard rates, 25% of the charge is taken at the time of booking. Non-refundable rates require full prepayment at the time of booking and are non-refundable in case of cancellation. Credit card guarantee is required to secure your reservation. “Rodos Niohori Elite Suites” Boutique Hotel reserves the right to pre-authorize the provided credit card prior to the guest’s arrival, up to the full reservation amount, as well as charge the card, if there is an applicable cancellation fee. A valid credit card is required upon arrival. “Rodos Niohori Elite Suites” Boutique Hotel reserves the right to pre-authorize or charge the provided credit card for the agreed accommodation period, possible extra charges (i.e. transfer from/to the airport) and/or damages and losses that they may have caused, even after the customer’s departure. Credit cards: Visa, MasterCard, American Express, Maestro, Discover, Diners Club. The clients using bank transfer, are please asked to provide the hotel with valid proof of payment either by e-mail at rodosniohori@gmail.com or by fax: +30 2241032445 in order for the reservation to be confirmed. Cash: During your stay or upon departure, it is possible to pay in cash (€) for amounts up to €1,500. For each transaction, “Rodos Niohori Elite Suites” Boutique Hotel issues a legal receipt. Customers who prefer an invoice, are please asked to give us a prior notice either at the time of the reservation, or the latest when checking-in. Cancellation and prepayment policies vary per room type. Refundable standard rates require partial prepayment 25% of the charge at the time of booking. Cancellation is free of charge up to 30 days before arrival. Reservations cancelled 30 to 10 days prior to arrival date incur a penalty of 50% of the full stay. Finally, reservations cancelled 9 days or less prior to arrival, non-show and early departure incur the full stay charge (100%). Rates agreed as non-refundable are subject to full prepayment for the entire stay at the time of booking. Prepayment can be made in any of the specified methods of payment. Cancellation, early departure or non-arrival will result in complete charge of the prepayment. Children 0-3 years old free. Baby cot is available free of charge on demand. Children age between 3 -6 years old, rate 25,00 euro per night if they use parent’s bed, otherwise adult rate applies. Offer limited to one child per suite. For second child, adult rate applies. Adult supervision is required for all children under the age of 13. In ‘’Rodos Niohori Elite Suites’’, we’re committed to offer our guests all luxuries while minimising our impact to the environment. On-going environmentally sustainable practices include our linen reuse program (only upon guest’s request), provision of bins for recyclable materials in all suites, and of course being in Rhodes, which is worldwide known as the island of the sun, we have solar heating capability for provision of hot water. Other recent initiatives aiming at reducing our carbon footprint include upgrade of our air conditioning system with energy efficient (Energy class A++) inverter units with special dust filters and switching out all of hotel lighting over to LED bulbs. “Rodos Niohori Elite Suites” Boutique Hotel was originally a traditional home built in 1896. Many of the home’s original features have been preserved and artfully incorporated into the Suites. Therefore, parts of our hotel are not fully accessible to guests with limited mobility. 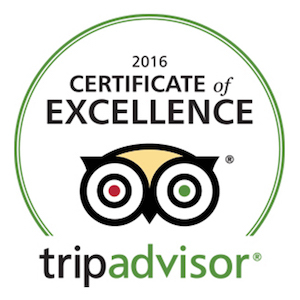 Please contact us to discuss specific requirements and the availability of accommodation that suits your needs. To ensure all the guests’ comfortable stay, smoking is not allowed in any of our hotel’s suites. Smoking is only allowed in the outdoor private terrace of each suite, and in our common courtyard when breakfast is not served. At “Rodos Niohori Elite Suites”, we take the privacy of our guests very seriously. Private information entered during the booking process, are keep private and confidential. 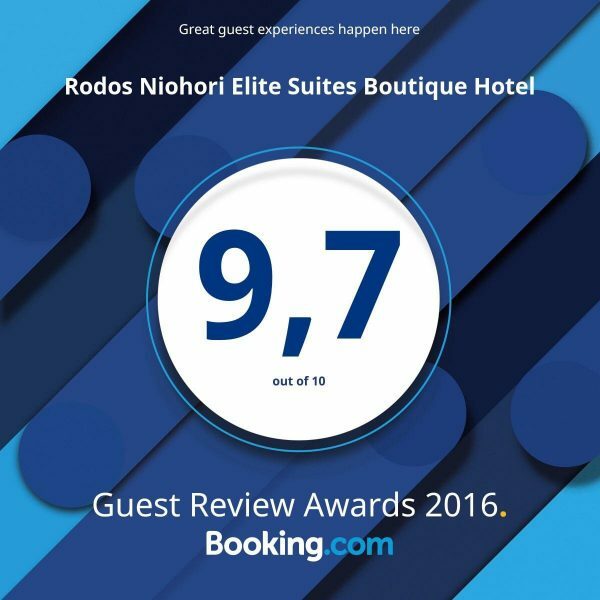 “Rodos Niohori Elite Suites” Boutique Hotel may contact its guests via e-mail, asking for feedback and reviews and/or to promote special offers about the hotel unless stated otherwise by the customer.